Twitter’s Windows 10 Progressive Web App team has pushed out another update for the app, bringing along a number of improvements. 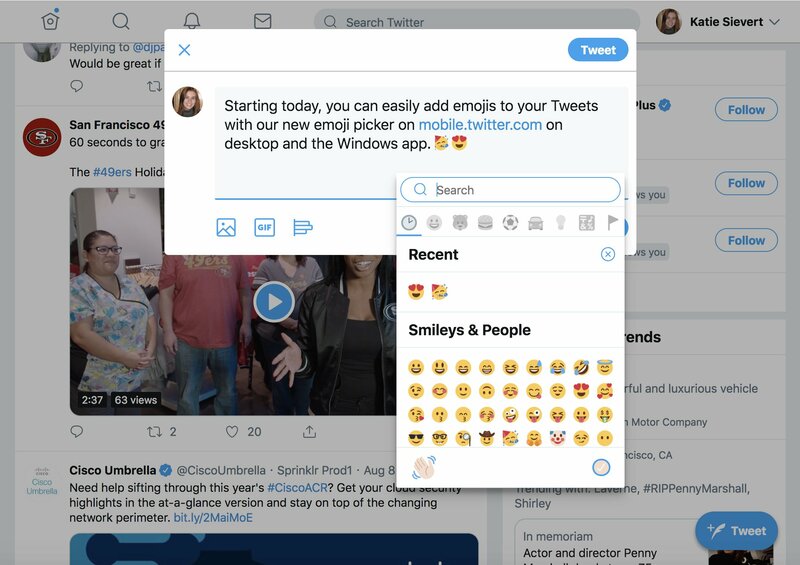 The headline feature is the availability of the Emoji picker in the Direct Message interface, meaning you can finally reply with a real smiley. Direct Messages (widescreen only): The Emoji Picker is now available when you’re writing a DM on your computer or tablet! Click the emoji icon to pop it open and express yourself ? Images: We are smarter about which image to show in the timeline based on the pixel density of the person’s screen. The result is a faster experience on newer phones with high pixel density. Image Cropper: We’ve adjusted the zoom behavior when adjusting an uploaded image. It feels much more natural now. Accessibility: The way a screen reader identified the emoji icon that pops open the emoji picker was vaguely labeled (‘Button’). It’s label has been improved and its purpose is now very clear (‘Add Emoji’). Internationalization: Fixed the ordering of social proof phrases (e.g. “@Twitter Retweeted”) in languages that read right to left. Stability: Adjusted the app reload logic to prevent the infinite reloads that some people were experiencing. Scrolling: A bug snuck in that allowed pull-to-refresh to work in places that it shouldn’t have. Pull-to-refresh is again properly contained. Direct Messages: When sharing a tweet through DMs we weren’t auto-focusing the message text box, which made adding a message require some clicking. Focus should be automatic now.